There are many Primrose Hills in England, but by far the most famous of them is our own local one. A park since 1842, and before that a well-known landmark, its name is first recorded in the late sixteenth century. Before then the area was known as Chalcots, the origin of Chalk Farm, a name ousted in recent years when Primrose Hill became the name of the neighbourhood and not just the hill. What, however, happened to its primroses? The primrose is a remarkable plant which thrives in damp and shady habitats. The Primula vulgaris, the common or English primrose (though found across Europe), flowers early in the spring and heralds the end of winter. Its English name derives from the Latin prima rosa or the French primerose, meaning ‘first rose’. It was widely held to be magical and to have healing powers. It is also unusual in having two variant types of flowers, one called ‘pin-eyed’ and the other ‘thrum-eyed’. The name Primrose Hill obviously arose from the growth of primroses there, and in an old list of wild plants in the Hampstead district the Primula vulgaris, or primrose, is included. But other evidence is not wanting that the primrose was at one time abundant on the hill, as in 1907 I had a letter from a lady, eighty years old, who remembers filling a basket with primroses, gathered between Primrose Hill and the adjoining Zoo boundary, prior to 1838. From this it may be inferred that up to about sixty years ago primroses were abundant on the hill, and the connection between these and the name of the place will be obvious. Several things led to the disappearance of primroses on the hill. After the Crown acquired Primrose Hill from Eton College, the Department of Woods and Forests removed the hedgerows which had once divided the hill into fields, cutting down the hedges and removing the ditches where primroses had once flourished. The hill became a single piece of grassland, without even trees. Large numbers of additional visitors were attracted to the new park. Thousands of hobnailed boots, combined with the Victorian passion for picking and pressing flowers, sealed the fate of any surviving primroses. The park authorities did nothing to prevent the loss. Unlike Royal Parks such as Regent’s Park and Kensington Gardens, Primrose Hill, which was always treated as something of a Cinderella, never had flowerbeds or wildflower areas. May I suggest something innocent and humble, non-controversial, above all, quite cheap, but which would bring glory to us all? It is simply this: to plant primroses now and lavishly on Primrose Hill. I suggest that all gardeners should plant primroses on the hill forthwith. They will then flower next spring. (They must be planted under the trees since they require some shade.) Too many things today have false names. Would we like it if some of our thousands of visitors were to bring an action under the Trade Descriptions Act? Let us make an honest hill of Primrose Hill. In May 1981 the London Wildlife Trust asked permission for Lord Melchett, the Opposition spokesman in the House of Lords, and Richard Mabey, the conservationist and author, to plant a primrose on the hill to mark the trust’s own inauguration. Strangely, the Department of the Environment refused permission, on the grounds that it classified a primrose as a tree. Even when informed that a primrose was only three or four inches tall, the department refused to change its mind, viewing the proposed event as a publicity stunt. This led to an article, entitled ‘The Hill with No Primrose’, on the front page of the Observer. The London Wildlife Trust, forced to look at another way of promoting its work, toyed ‘with the idea of introducing a nightingale into Berkeley Square’. More recently renewed efforts have been made to plant primroses on Primrose Hill – and indeed a few primroses may now be found by those who look carefully in the recently established borders near the St Edmund’s Terrace entrance. The deputy manager of Regent’s Park used to plant two hundred primroses a year in the early 1990s. In 2016 I tried to persuade Thames Water, which has a Biodiversity Action Plan and claims to be committed to the preservation and promotion of Heritage, to plant primroses on the banks of its Barrow Hill Reservoir – but to no avail. 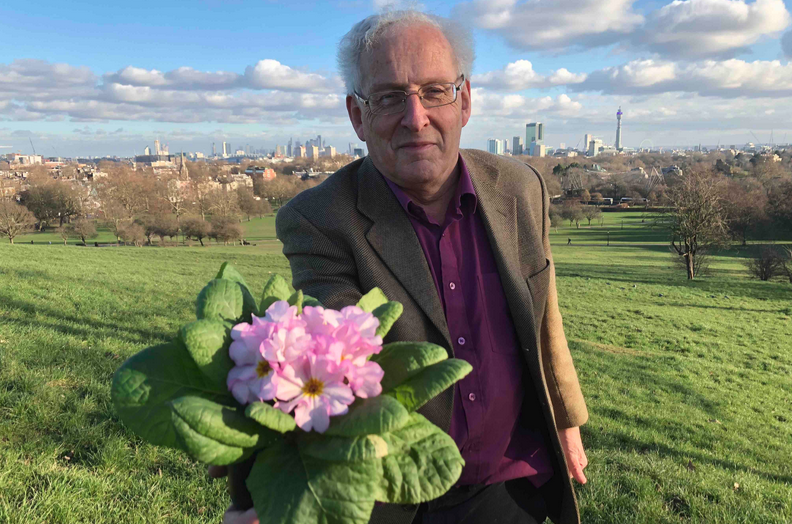 In February last year Miranda Glossop and I planted 350 primrose plantlets and seeds on the hill, as reported in the Camden New Journal under the headline ‘Guerrilla Gardeners Make it a Proper Primrose Hill’. Few seem to have flourished, but we live in hope. Surely, one way or another, it must be possible to restore primroses to Primrose Hill. This would certainly be much easier and less controversial than reintroducing wolves to Wolverhampton. 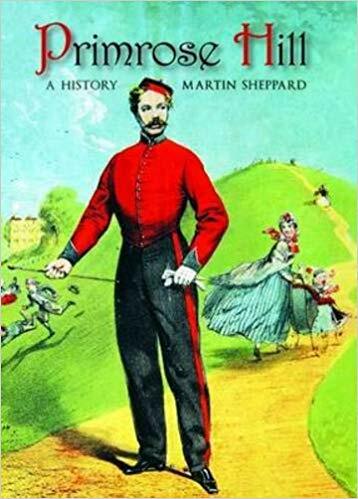 Martin Sheppard is a local historian and author of Primrose Hill: A History available from Primrose Hill books and online stores.